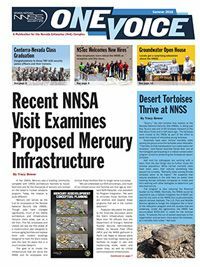 OneVoice is used to communicate current activities and events to NNSA/NFO, contractor and laboratory employees, their families, stakeholders, retired employees, corporate management, and local, state and federal officials. The newsletter reaches more than 4,000 readers in 20 states. RSL Hosts International Customs Training in So. Nevada.